If you need a gutter replacement company to install gutters on your home in the Evansville area of Indiana, look no further than 31-W Insulation. We have performed countless home improvement installations on homes throughout the southeastern U.S. since 1972, so you can trust us for our decades of valuable industry experience. 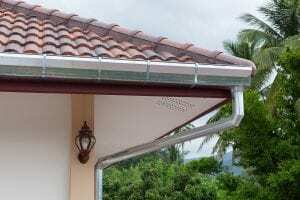 What’s more, your new gutter replacement will be installed by a team of professionals who are proud to follow our high standards of customer service and workmanship, since our installers are all our own factory-trained employees. In fact, we hold an A+ rating with the Better Business Bureau as a reflection of our commitment to total customer satisfaction. Your new gutter replacement will also help to improve the curb appeal of your home, since the lack of seams lends a more cohesive appearance to the edge of your roof. Plus, you can choose from more than 20 beautiful colors for a gutter system that provides the perfect complement to your home’s appearance. If you’re interested in additional information about the gutter replacement solutions that we offer to homeowners in Evansville, IN, contact 31-W Insulation today.